In the most recent issue of “Asia Weekly” I read the following article online: “The Patriotic Sentiment that Han Chinese and Tibetans Must Not Forget”; the author is Ji Shuoming, a senior journalist working for the magazine. In fact, the two of us happened to meet once before. A few years ago, he interviewed my husband and I to get an understanding of many aspects of the situation in Tibet. I have always believed that media outlets and journalists other than those of the CCP follow the facts when reporting on issues. However, this article made me lose faith in my previous assumption. 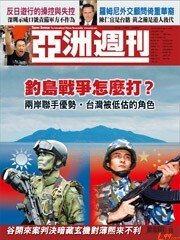 Or rather, as I also asked on Twitter and Facebook, “What kind of magazine is ‘Asia Weekly’? Is it the Hong Kong edition of ‘People’s Daily’?” This is because this article was full of the lies that have also been adopted by the CCP and KMT when approaching Tibetan history, it is a clumsy attempt to change history. “Asia Weekly” repeatedly quotes the knowledge that the “Tibet related photographer Yang Kelin” has about Reting Rinpoche and Tibetan history. 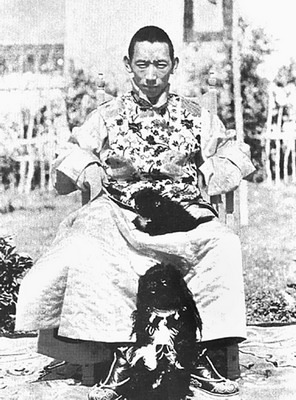 This Yang Kelin who has “interviewed many important Tibetan leaders” and “has met His Holiness the Dalai Lama over ten times” also passed on the memories of Liu Shengqi, the former KMT secretary of the Mongolian and Tibetan Affairs Commission and later researcher at the Chinese Academy of Social Science; he claimed that the tragedy of the 5th Reting Rinpoche was due to his great love for his country and that he “died for his country”. Yet, Liu Shengqi’s “True Records of Tibet’s Coup d’état” that were written in Lhasa back then actually reveal that Reting was killed out of revenge by a few members of the aristocracy because he had incurred the reigning King’s hatred. Also, they clearly illustrate that the claim that Tibetan soldiers opened fire under foreigners’ guidance is “complete nonsense”. The most intolerable part of this article is that Shideling was the place that was struck by the Communists in March 1959, that was used as a broadcasting station by the Red Guards and the rebel faction and became a battlefield during the Cultural Revolution and that was, later on, used as a military base for communists troops and in the end, was nothing more than the ruins of Shideling, was presented as Tsechokling Monastery: “After the death of Reting Rinpoche, Taktra Rinpoche sent someone to move his body to Tsechokling Monastery, which was later on taken over by some thugs who burned it down. Hence, Tsechokling Monastery is now in ruins”. Let me add one more sentence, Shideling was not Reting Rinpoche’s residence in Lhasa, it was a place where he would go to practice Buddhism. The article also mentions that Yang Kelin wants to shoot a documentary and TV series about “The story of how Reting Rinpoche died for his country”, and plans to restore the ruins of Shideling, displaying so-called cultural documents of “ethnic unity” in its interior. In fact, this is an attempt to turn the ruins of Shideling into a red scenic spot, telling all tourists this kind of story: after the great patriot, the 5th Reting Rinpoche, was poisoned by British imperialists and Tibetan separatists, his monastery was destroyed by Tibetan separatists; today, under the efforts of Han-Tibetan unity and all people living in our united ancestral land, it has been restored to its original state. It seems that the project to rewrite the history of Reting Rinpoche and Shideling is already taking place right now. The project to rewrite Tibetan history is still continuing. Reprinted by permission. Originally published at http://highpeakspureearth.com/2013/rewriting-the-history-of-the-5th-reting-rinpoche-and-shideling-by-woeser/.